At GEPSI, with years of experience in training, counselling and career guidance, we understand that Canadian employers have great need for reliable and stable workforce in order to plan and maintain sustainable growth for their companies. Hiring skilled staff can make a difference between your company and your competitors. GEPSI’s Placement Division specializes in providing highly qualified individuals for a wide range of Permanent, Temporary and Contract positions. All of our applicants are thoroughly screened and reference checked before they are forwarded to our clients. Our goal is 100% client and candidate satisfaction. At GEPSI, we take the pain out of the hiring process. Drawing from a pool of thousands of highly skilled candidates from all over Canada and through our extended network around the world, our expert recruiters will work directly with our clients to ensure that our clients only see the very best applicants based on their requirements. Through our strategically located branch in Scarborough, Toronto, our vision is to provide quality candidates to our clients from well-known national and global corporations located in downtown Toronto, Mississauga, Brampton, Scarborough, Markham, and across GTA. Our goal is to establish strong and long-term relationship with our clients and candidates. 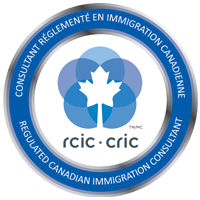 Our Director is an (ICCRC Member) active member of Immigration Consultants of Canada Regulatory Council and possesses over fifteen years of experience in immigration, education and career guidance. Hence, we can advise you on the most appropriate immigration program based on your company´s needs. Friendly, adaptable, team-oriented foreign workers understanding Canadian Culture, workforce needs along with their responsibilities as per the Canadian standards. Professional Human Resource managers and highly qualified recruiters dealing continuously with our current and potential clients. Low fees structures with extended settlement assistance to our foreign workers. Resume Preparation as per the Canadian standards to represent foreign worker’s skills in the most ethical and efficient manner. We have a strong database consisting of Software, Engineering (Computer, Civil, Mechanical, Electronics, Electrical, Chemical, Biotech), Banking, Brokerage, Securities, Accounting, Finance Education, Human Resources, Management Consulting, Food and Beverage, Consumer Goods, Government, Insurance, Pharmaceutical Health Care and Beauty Products, Professional and Non-Profit Associations, Mining, Media, Communications, Public Relations, Publishing, Real Estate, Manufacturing and Distribution.